How do you see yourself? How do you see others? How do you see the world? And do you see things the same way as other people around you? Even though what you’re looking at is the same thing, we often see them differently. Do you see the young lady looking away, or the old lady looking across to the left? Can you see both? Maybe what you see depends on what you’ve just been thinking about, what you expect to see or how you think about the world. 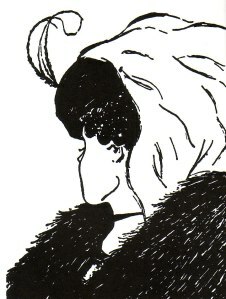 This collage of the young lady, the old lady and both helps us to see the illusion. As children we are flexible in our views. We’re working everything out. We can be duped easily because we haven’t established what’s real and what isn’t. Have you seen a baby giggle at the game of “Peekaboo!”? But by the time we’re adults we’ve got a firmer idea of what the world is like. Since we rely upon our assumption every day, our ideas become more entrenched, unless we stay open to new information and interpretation. That’s why young people and old people sometimes don’t see eye-to-eye – understandably they see the world differently. But what about two people with similar profiles who see the world differently? That often happens when it comes to things like politics and religion. The differences in perspective can be understandable but shouldn’t be reason to argue and fight. Unfortunately, they often are. For example, you believe in god, I believe in god, but your god is Catholic and my god is Protestant so we argue about who is right. Or maybe your god is Christian and mine is Muslim, so we fight and try to kill each other, which neither god advocates. Another context is politics. You are Blue and I am Red so we argue, protest and fight, but we both want the same things – food, shelter, dignity, justice, friends, education, work, leisure … We might even have similar values like hard work and charity, but we look at them differently when we do those things than when someone else does them. So we judge and victimise. This judging of others, of focussing on differences, is motivated by anxiety that we might not be good enough. When we differentiate others, we are trying to establish a level of confidence in our own perspective by comparing it to other people’s. Unfortunately, it can have a counter-productive effect. When we criticise others, it often reflects our own failings, that we are not the kind of person we would like to be. You can see high profile examples of this when a leader who advocates a conservative approach is found to behave in a liberal way, such as a politician who praises fidelity but is found to have extra-marital affairs, or who condemns non-hetero sexuality but is found to engage in paedophilia. These lies are motivated by a primitive desire for inclusion, which might be acceptable in children, but not in adults, let alone leaders. This exclusionary behaviour is natural and is part of our natural progression towards enlightenment. We need secure foundations upon which to build confidence so we hold fixed views, but as our intellect and perspective expands we gain the courage to loosen our grip on our ideas and become more flexible in our thinking and our ability to accept differences. It’s a natural progression of values in living organisms, and humans have the privilege of the potential to expand their perspective from the instinct of primates through the fixed ideas of simple socialisation to the flexible, inclusive thinking of self-aware, interconnected, higher functioning life. Some claim that human behaviour like violence, greed and oppression “is what it is” and “it won’t change”. They look at history and see centuries of war and power plays. However, stepping back beyond the history of humans to look at the history of life, you can see the pattern of emerging consciousness, which shows that intelligent life is characterised by love and sharing while violence and greed is merely instinctive and far beneath the potential of humans. First reflect on physiological evolution of life and recognise its increasing complexity and sophistication: On a planetary scale, from a mass of molten rock, to self-contained integrated ball of land, water, air, to the complex biosphere of minerals, soil, organisms, weather and so on. Now reflect on the emergence of organisms: First a bubble of gases combined until a discrete self-reproducing organism appears. Over millenia complexity of diverse organisms evolves, with ebbs and flows in response to geological variations, to give the extraordinary diversity of plant and animal forms that we observe now. The evolution of organisms is a slow process, though quicker than the evolution of the planet. It is so slow that we must go back tens of thousands of years for the evolution of homo sapiens from the hominid twig on the ape branch of the tree of life. Our physiological evolution, our genetic profile, has not changed since humans extinguished their hominid cousins (we still have a bit of neanderthal in us). Now reflect on the evolution of consciousness. Although physiological evolution has effectively stopped from our perspective (as has planetary geological evolution), metaphysical evolution continues and is recognisable on a generational scale. Those first organisms had no consciousness – they were barely different from their surrounds. As plant life and early animal organisms evolved they developed capacities of instinct, communication and eventually thought. You can see that even plants will face the sun, while insects cooperate in societies, fish communicate and, as life becomes more sophisticated, its consciousness expands. Thinking is not restricted to humans: Birds have been observed using tools to acquire food and chimpanzees have been educated to communicate with humans. The first humans were not very different in thinking behaviour from our ape cousins, although they took collaboration, tool making and problem solving to new levels. While human physiology hasn’t changed at all, the perspective we employ has expanded tremendously to abstract concepts and metacognition (“thinking about thinking”). Even these ways of thinking are not present in infants but emerge with brain development and exposure to the sophisticated world that we have created over millenia. Nevertheless, higher levels of consciousness and metaphysical capacity can emerge quickly, with the appropriate nurturing. A simple example is pop fashion or zeitgeist culture where we can observe and be a part of very rapid changes in awareness and behaviour. Are you old enough to remember dial up telephones? If so, recognise how quickly and easily you adapted to mobile phones and computer use. Are you old enough to remember a time before social media? Isn’t it fascinating how quickly your perspectives and habits changed to adopt the impersonal use of virtual communication instead of face-to-face contact and word of mouth? How about fashion? Headlines like “Pink is the new Black” illustrate how quickly and frequently people will change their minds about what is cool. These examples show how culture, or the general mind-set or consciousness, of whole populations can change very quickly. It is clear, therefore, that individual and group perspectives can evolve quickly. 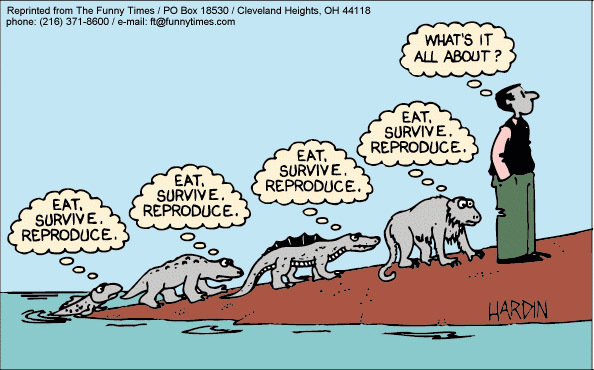 Evolution of humanity’s world view. 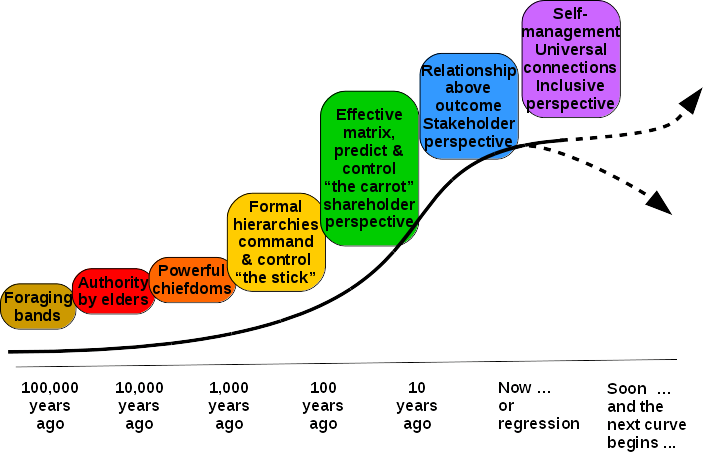 This evolution of consciousness does have a progressive direction (and is accelerating). It tends towards morality and truth and appears to be a natural progression observed in many spheres from individual dynamics to group dynamics (and even beyond the normal boundaries of “life”, but that is another discussion). Humanity’s perspective is expanding and emerging from instinct to myth to religion to philosophy to science, ie truth. For example, once people believed and lived as if the world was flat; that is not believed anymore. Once people believed supernatural beings lived on Mount Olympus and controlled human life; that is not believed anymore. Once slavery was accepted as natural; that is not so anymore. Once genocide was accepted; is that the case now? Along with our rapidly expanding acquisition of ideas based on science, human awareness of more sophisticated behaviours has and is taking place. Within the physiological capacities of humans is the ability to develop sophisticated consciousness far beyond the limited, primate, survival thinking of food, shelter and society. Humans, including you, have the capacity to engage in a more sophisticated life using advanced cognitive and emotional capacities to engage with the universe. We don’t all get there. Sometimes our circumstances or our particular gene-pool, impede progress. But we all can get there. One of the distinguishing aspects of humans is empathy – “the capacity to understand or feel what another person is experiencing from within the other being’s frame of reference1”. This is an important step to developing metaphysical capacities. 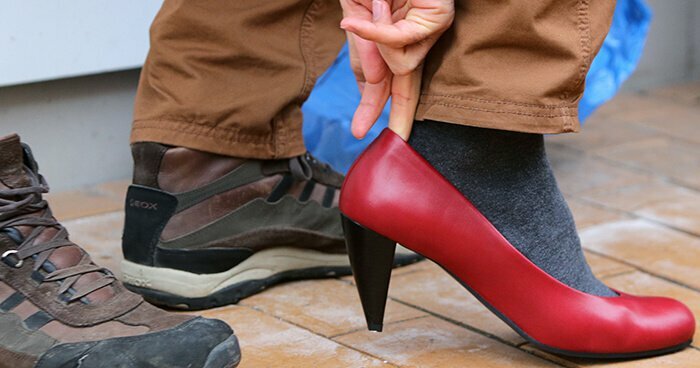 Humans have a natural tendency for empathy. Neuroscience has identified a 10-section “empathy circuit” in our brains, evolutionary biology shows we are social animals whose societies are bound together by empathy and psychologists have shown that we are primed for empathy by attachment relationships as infants. Empathy is a foundation of human collaboration and an important ingredient in happiness. It’s a metaphor, but actually doing it does develop empathy. Unfortunately, many people’s capacity for empathy is reduced by harsh upbringing and modern society’s demands to be independent and competitive, from school to work to leisure. Fortunately, it is easy to encourage empathy. To expand your perspective, simply keep your mind open and challenge your perspective. Look beyond your own society and culture to engage with strangers – a simple greeting is a good start. Appreciating people who look or behave differently gets easier as you start to enjoy the stimulation of different experience. For example, you might be used to meat and potatoes while shunning curry and rice, but your taste can expand and one day you might enjoy a curry as much as a burger. It is most difficult to challenge your prejudices, especially when they are focussed by collective labels as simple as “women” or as divisive as “Muslim fundamentalist” and “white supremacist”. Moving beyond this exclusive thinking requires you to seek common ground and reasons for other people’s behaviour. It is possible to do and results are wonderful. South Africa abolished apartheid. Christians marry Muslims. Bankers become farmers. This is liberation of human potential and realisation of enlightened values. Progression is helped by balancing confidence with humility, knowledge with questions, power with responsibility. It becomes easier as the potential within yourself is liberated. And that is the path to success and happiness. (This is a chapter extracted from How to Get Rich and Famous, author’s proof of the “Raw Edition”.